Hi everyone! 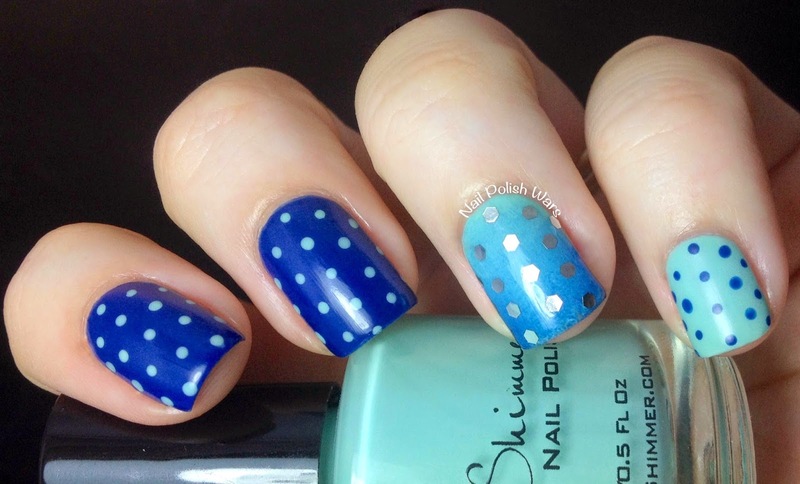 I wore an adorable navy blue silk dress with tiny aqua polka dots last weekend, so of course I had to match my mani!! I started off with two coats of OPI Keeping Suzi at Bay on my index and middle fingers, and two coats of KBShimmer A Touch of Glass on my ring and pinky fingers. I used my small dotting tool with both shades to add some simple polka dots, and I also used them both for an accent gradient. To jazz it up a little, I added some silver glequins in a polka dot pattern. I finished with one coat of Cult Nails Wax That to soften it up a bit. I just adore the end result and it matched my dress perfectly! Awesome!! Your dress must have been amazing because your mani certainly is! 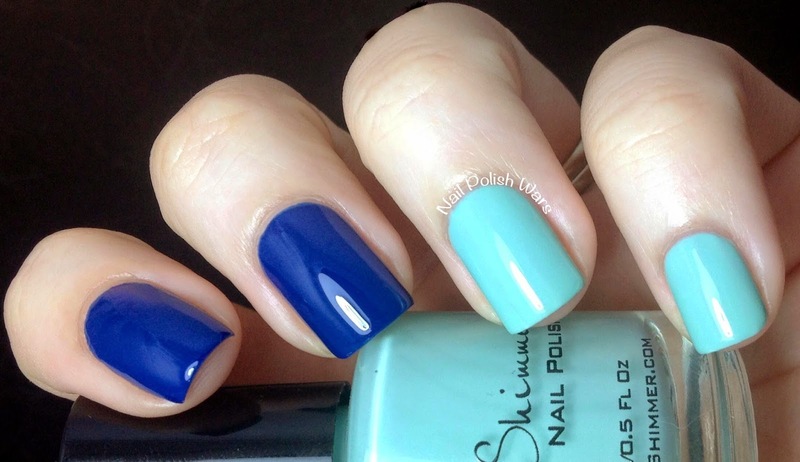 Thos is a simple, yet interesting manicure. I love it. This is so cute! Love simple manicures too. 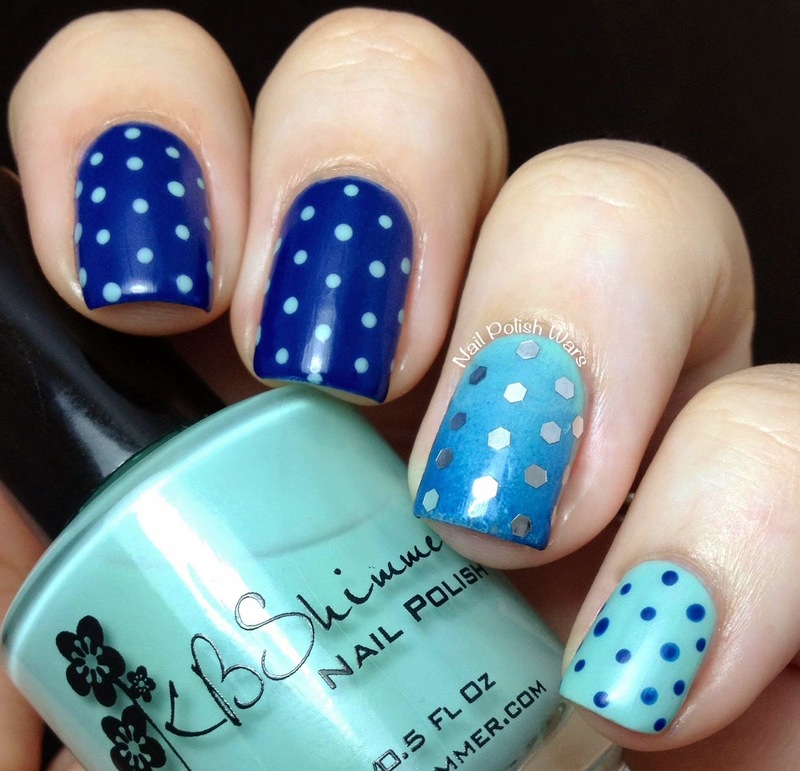 Your dotted design looks absolute perfect and sometimes simple is more than enough to have a gorgeous manicure!